In getting from Point A to Point B, Northeast Ohio winters really like to throw down the gauntlet. We know first hand just how much they test your site’s safety and accessibility, not to mention your nerves. That’s why partnering with the right commercial snow removal company is essential. You need a snow and ice contractor that is dedicated, certified, experienced and prepared with the resources to manage any size storm. Snow and ice services have a direct impact on your ability to generate revenue and ensure safety. And if you’re reading this, we’re willing to bet you’re in the market to hire a Cleveland snow removal company before it’s too late. 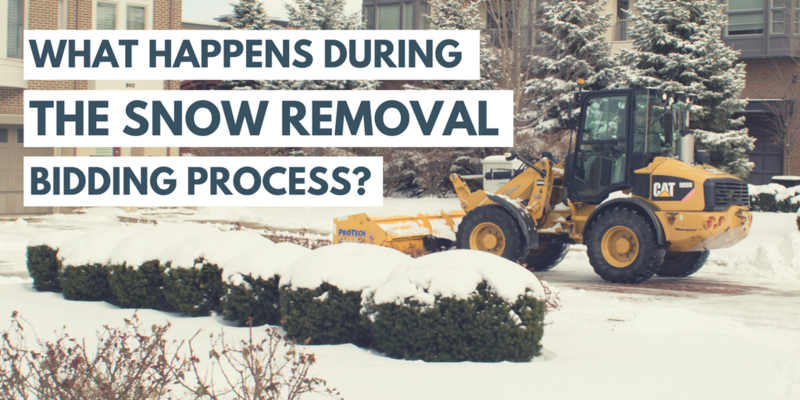 If we’ve earned a place on your RFP short list for commercial snow and ice removal this winter, then it’s important to give you a glimpse into the three major steps we take once we’ve received your request for a bid. Once you’ve shown an interest in our commercial snow and ice services, one of Schill’s client care specialists will work with you to set up a convenient time to meet with you and walk your grounds. Ahead of this meeting, we print out an aerial view of your site using satellite imagery technology. This allows us to familiarize ourselves with your property well before we step foot on it. We also draw a lot of valuable information out during our initial property walk-through. This gives us a chance to see first-hand exactly what you want addressed in the proposal. We also use that time to ask questions and point out areas that may have been overlooked by your previous snow contractors — ramps, delivery docks, rooftops, dumpster areas, pedestrian shortcuts, etc. We offer our expertise during these walk-throughs and introduce these ideas before we create a proposal — that allows us to discuss them in advance. Once we’ve met with you and your grounds — in person — we need anywhere from two days to about two weeks (depending on the complexity of your site) to come up with a plan and proposal that speaks specifically to your RFP as well as any other needs or pain points that came up during our initial meeting. What’s the point of all this close pre-winter observation? Think about it: A shortcut in the summer is most likely a shortcut in the winter. Puddles in the summer become ice patches in the winter. By identifying high-risk areas and understanding how your property functions now, we’re able to head into the winter season with a winter storm management plan that reduces risk, improves safety and also increases your sites ability to remain accessible — even as the snow continues to pile. Obviously, the details of our bid will depend on your RFP. And I have to admit, we love a rigorous RFP process. We believe it is the foundation of a strong, long-term relationship and that’s why we like to lay every detail out on the table. 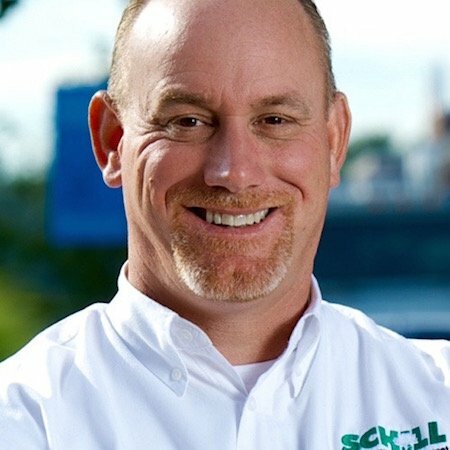 In doing so, Schill can prepare a solid proposal that addresses your Northeast Ohio property’s needs on all levels. And we understand that no one wants invoicing surprises, especially after you’ve hired on a business partner you thought you could trust. That’s why operational and financial details are worked out before a proposal is ever presented. Hiring a commercial snow contractor in Northeast Ohio can be a challenge; that’s why putting it off is not always the best move. If you need a starting point, use our FREE e-book — Ultimate Guide To Hiring A Snow & Ice Management Contractor — as a resource you can lean on. Before it's too late, let’s talk more about how to maximize your commercial snow removal budget, and why it's best to hire industry certified snow removal contractors with proven success stories to share. Contact us any time at 440.327.3030, or fill out this simple contact form and we’ll get in touch with you.